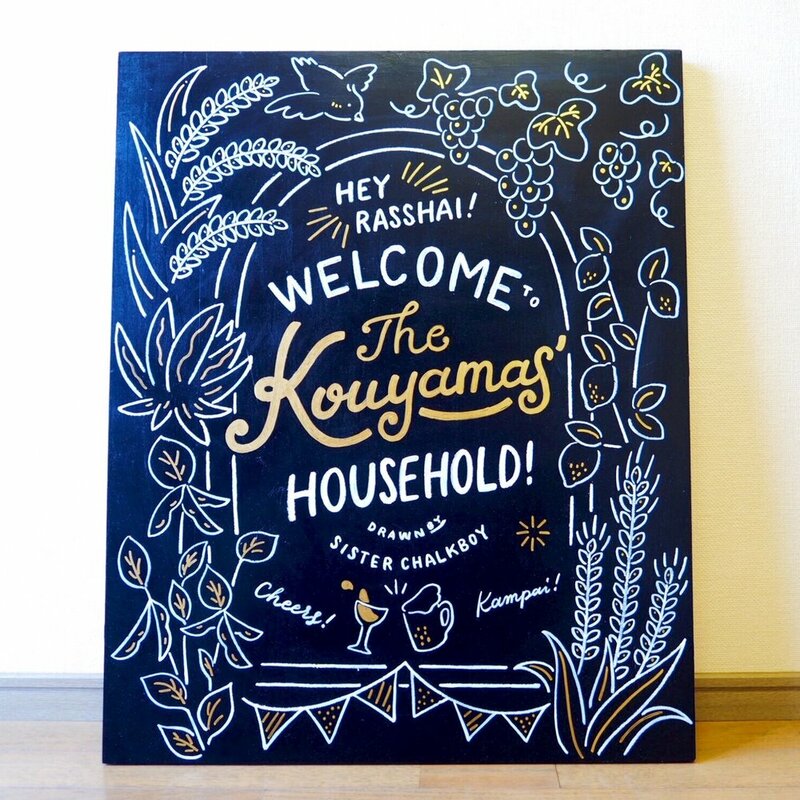 Hand drawn for MARTINIQUE, a french caribbean restaurant that opened in Tokyo in January 2017. This was the first time I used colored chalk, in order to express the fun caribbean vibe. I had a lot of fun experimenting with different color coordinations. Photos were taken by Shiori Saito. 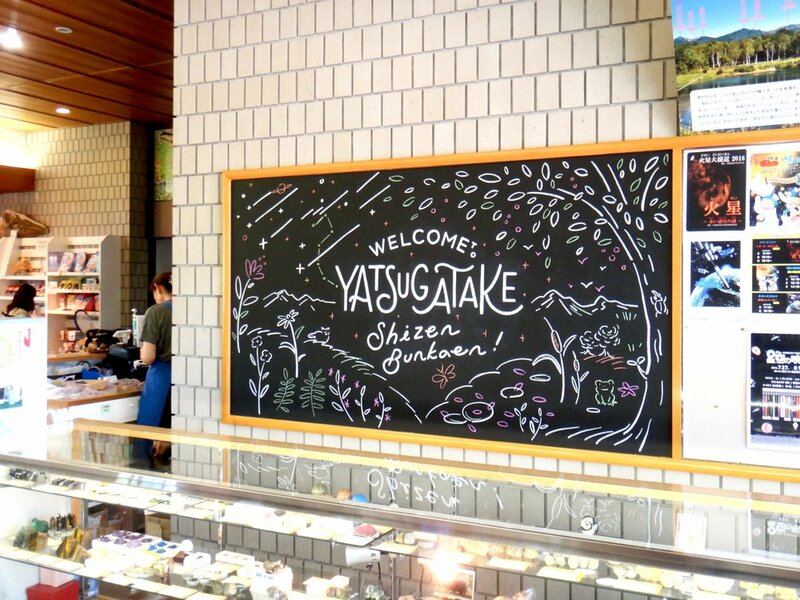 Hand-painted for north port mall, a shopping mall in Yokohama. I drew each alphabets with different animals and nature, and was highly inspired by William Morris's beautiful wall paper designs. I drew this for a newlyweds of a friend of mine for their new home. Apparently the wife is a big drinker, so I drew lots of different alcoholic ingredients outside of an opened window. Cheers for letting me draw for you! Live painted as part of the renewal event at LAZONA, a shopping mall in Kawasaki, Kanagawa. This was visible for about two weeks. 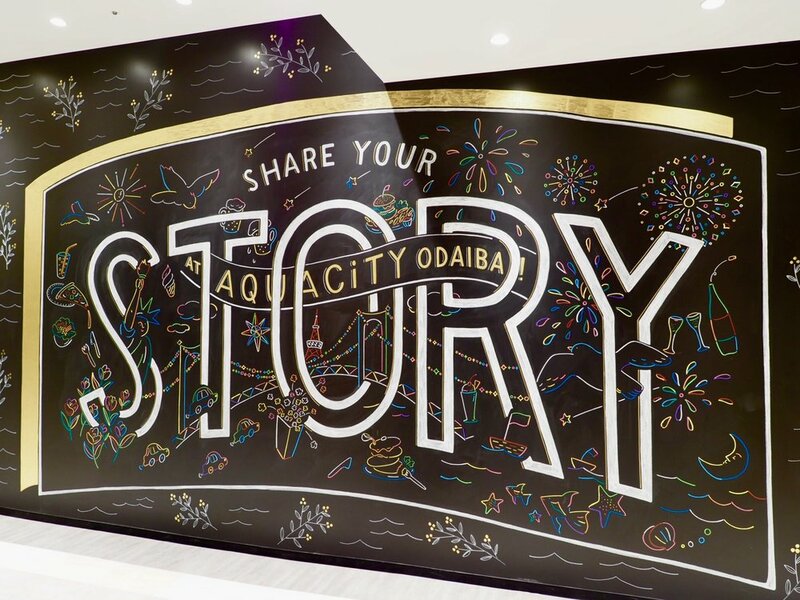 Hand-painted for AQUA CiTY Odaiba. My second time using colors on blackboard. So fun!